Many people who start out offering writing services try to write anything and everything for anyone and everyone. They figure they need to do this to get work. But when I coach new writers, I usually advise them to specialize (right from the start) in at least a couple of areas. • You’ll get better and better at what you do. When you do something over and over again you naturally get better at it. Not only that – it gets easier to do it each time you do it because there isn't a constant learning curve as there is with something new each time. This means it will eventually take you less time to do this type of writing, which means you will naturally make more money because you will be able to take on more work. • You can charge more for your services. If you’re really good at something, you can charge more for it, which is another great reason to specialize. You will be able to work quickly AND charge premium rates for your services. • Clients will come to you. When you specialize, you become known as an expert in the areas you specialize in. And when you're an expert people seek you out because, generally, people want to hire experts. That means you won't need to spend as much time marketing yourself and your writing services since clients will often find you (provided you have a website or other listing for your business). People will come to you for other things besides writing, too. For example, you will have opportunities to speak about what you know or even to teach what you know to others. These opportunities can provide additional streams of income, which is another nice perk to specializing. • It’s easier to market and brand yourself. When you specialize in just a few areas, people know what to expect from you. And you know what to offer potential clients. Again, you are the expert in those areas. You can market these types of services and use them to brand yourself as a writer. • You can focus on doing only the types of writing you really love to do. Perhaps the best perk of specializing is that you can focus on doing only the types of writing you really love to do. If you hate writing press releases, for example, don't specialize in that type of writing and don't even offer it as one of your writing services. That way, people won't come to you when they need someone to write a press release. They'll only come to you when they need the type of materials you love to write. As you can see, there are all sorts of reasons to specialize as a writer. If you haven't done this yet, start thinking about the types of writing you really love to do, then decide to specialize in this areas. For more tips about specializing, register for this online writers'workshop, presented by Nancy I. Sanders, called Specialize: The Time is Now. Suzanne Lieurance is an author, freelance writer, certified professional life coach and writing coach, speaker and workshop presenter. 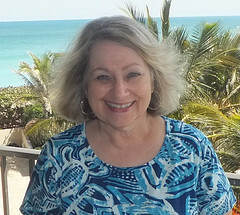 She has written over two dozen published books and hundreds of articles for newspapers, magazines, and other publications. For more short writing tips, get your free subscription to The Morning Nudge at www.morningnudge.com. Suzanne, great tips on why a freelance writer should specialize. I finally did it and it works! Yes, you did, Karen. And isn't life (and business) much easier, not to mention more profitable, now? Yes it is! Thanks for your coaching! You're welcome. You're a wonderful client!